Kurt Michaelson: REVIVE ME O LORD! While reading Psalm 119:153-160 last night, three times the phrase "revive me according to..." is repeated in this Psalm. It's interesting too because I've been hearing quite often how the church needs to experience a great revival again because of the depravity that is seen in our society and even around the world. We desperately need one too, but it will come at a price of time in prayer and hunger for more of His Word to feed our souls. If we are revived to live deeply in Christ, studying His Word and going forth into the world and preaching the Gospel to people, hoping for God's work of salvation to be fulfilled in the hearts of people who hear, a mighty revival CAN take place! I believe though that a revival must begin with ourselves first and these three verses expresses that is where it begins as the psalmist said, "Revive me...". We must hunger desperately for such a revival within us, seeking to draw ever so close to God through daily study of His Word and intimate prayer with Him. The closer we cleave to the word of God, both as our rule and as our stay, the more assurance we have of deliverance. Christ is the Advocate of his people, their Redeemer. Those who were quickened by his Spirit and grace, when they were dead in trespasses and sins, often need to have the work of grace revived in them, according to the word of promise. The wicked not only not do God's statutes, but they do not even seek them. They flatter themselves that they are going to heaven; but the longer they persist in sin, the further it is from them. God's mercies are tender; they are a fountain that can never be exhausted. The psalmist begs for God's reviving, quickening grace. A man, steady in the way of his duty, though he may have many enemies, needs to fear none. Those that hate sin truly, hate it as sin, as a transgression of the law of God, and a breaking of his word. Our obedience is only pleasing to God, and pleasant to ourselves, when it comes from a principle of love. All, in every age, who receive God's word in faith and love, find every saying in it faithful. Note: The King James uses the word quicken compared to the New King James Version, which uses the word revive. Emphasis mine. The following is Charles Spurgeon's commentary of three verses in this Psalm where the words, Revive me...is repeated, from his book, The Treasury of David. 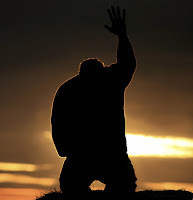 “Plead my cause, and deliver me.” In Psalm 119:153 he had prayed, “Deliver me,” and here he specifies one method in which that deliverance might be vouchsafed (granted or given), namely, by the advocacy of his cause. In providence the Lord has many ways of clearing the slandered of the accusations brought against them. He can make it manifest to all that they have been belied, and in this way he can practically plead their cause. He can, moreover, raise up friends for the godly who will leave no stone unturned till their characters are cleared; or he can smite their enemies with such fearfulness of heart that they will be forced to confess their falsehood, and thus the righteous will be delivered without the striking of a blow. Alexander reads it, “Strive my strife, and redeem me” - that is, stand in my stead, bear my burden, fight my fight, pay my price, and bring me out to liberty. When we feel ourselves dumb before the foe, here is a prayer made to our hand. What a comfort that if we sin we have an advocate, and if we do not sin the same pleader is engaged on our side. “Quicken me.” We had this prayer in the last section, and we shall have it again and again in this. It is a desire which cannot be too often felt and expressed. As the soul is the centre of everything, so to be quickened is the central blessing. It means more love, more grace, more faith, more courage, more strength, and if we get these we can hold up our heads before our adversaries. God alone can give this quickening (revival); but to the Lord and giver of life the work is easy enough, and he delights to perform it. “According to thy word.” David had found such a blessing among the promised things, or at least he perceived that it was according to the general tenor of God's word that tried believers should be quickened and brought up again from the dust of the earth; therefore he pleads the word, and desires the Lord to act to him according to the usual run of that word. What a mighty plea is this - '“according to thy word.” No gun in all our arsenals can match it. This verse is exceedingly like Psalm 119:149, and yet it is no vain repetition. There is such a difference in the main idea that the one verse stands out distinct from the other. In the first case he mentions his prayer, but leaves the method of its accomplishment with the wisdom or judgment of God; while here he pleads no prayer of his own, but simply the mercies of the Lord, and begs to be quickened by judgments rather than to be left to spiritual lethargy. We may take it for granted that an inspired author is never so short of thought as to be obliged to repeat himself: where we think we have the same idea in this Psalm we are mislead by our neglect of careful study. Each verse is a distinct pearl. Each blade of grass in this field has its own drop of heavenly dew. “Great are thy tender mercies, O Lord.” Here the Psalmist pleads the largeness of God's mercy, the immensity of his tender love; yea, he speaks of mercies - mercies many, mercies tender, mercies great; and with the glorious Jehovah he makes this a plea for his one leading prayer, the prayer for quickening. Quickening is a great and tender mercy; and it is many mercies in one. Shall one so greatly good permit his servant to die? Will not one so tender breathe new life into him? “Quicken me according to thy judgments.” A measure of awakening comes with the judgments of God; they are startling and arousing; and hence the believer's quickening thereby. David would have every severe stroke sanctified to his benefit, as well as every tender mercy. The first clause of this verse may run, “Many,” or, “manifold are thy compassions, O Jehovah.” This he remembers in connection with the “many persecutors” of whom he will speak in the next verse. By all these many mercies he pleads for enlivening grace, and thus he has many strings to his bow. We shall never be short of arguments if we draw them from God himself, and urge both his mercies and his judgments as reasons for our quickening. “Consider,” or see, “how I love thy precepts.” A second time he asks for consideration. As he said before, “Consider mine affliction,” so now he says, “Consider mine affection.” He loved the precepts of God - loved them unspeakably - loved them so as to be grieved with those who did not love them. This is a sure test: many there are who have a warm side towards the promises, but as for the precepts, they cannot endure them. The Psalmist so loved everything that was good and excellent that he loved all God had commanded. The precepts are all of them wise and holy, therefore the man of God loved them extremely, loved to know them, to think of them, to proclaim them, and principally to practise them. He asked the Lord to remember and consider this, not upon the ground of merit, but that it should serve as an answer to the slanderous accusations which at this time were the great sting of his sorrow. “Quicken me, O Lord, according to thy lovingkindness.” Here he comes back to his former prayer, “Quicken me” (Psalm 119:154), “quicken me” (Psalm 119:156). “Quicken me.” He prays again the third time, using the same words. We may understand that David felt like one who was half stunned with the assaults of his foes, ready to faint under their incessant malice. What he wanted was revival, restoration, renewal; therefore he pleaded for more life, O thou who didst quicken me when I was dead, quicken me again that I may not return to the dead! Quicken me that I may outlive the blows of my enemies, the faintness of my faith, and the swooning of my sorrow. This time he does not say, “Quicken me according to thy judgments,” but “Quicken me, O Lord, according to thy lovingkindness.” This is the great gun which he brings up last to the conflict: it is his ultimate argument, if this succeed not he must fail. He has long been knocking at mercy's gate, and with this plea he strikes his heaviest blow. When he had fallen into great sin this was his plea, “Have mercy upon me, O God, according to thy lovingkindness,” and now that he is in great trouble he flies to the same effectual reasoning. Because God is love he will give us life; because he is kind he will again kindle the heavenly flame within us.